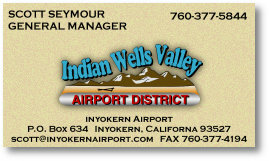 Inyokern Airport is located in California's upper Mojave Desert adjacent to the east slope of the southern Sierra Nevada mountain range . 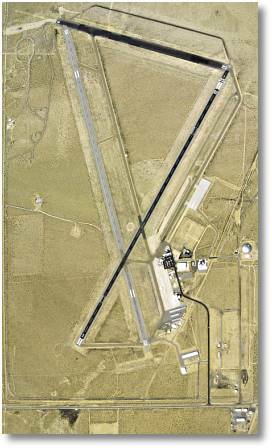 . .
Three asphalt surface runways . . .
Runway 10-28 . . .
Runway 02-20 . . .
Runway 15-33 . . .